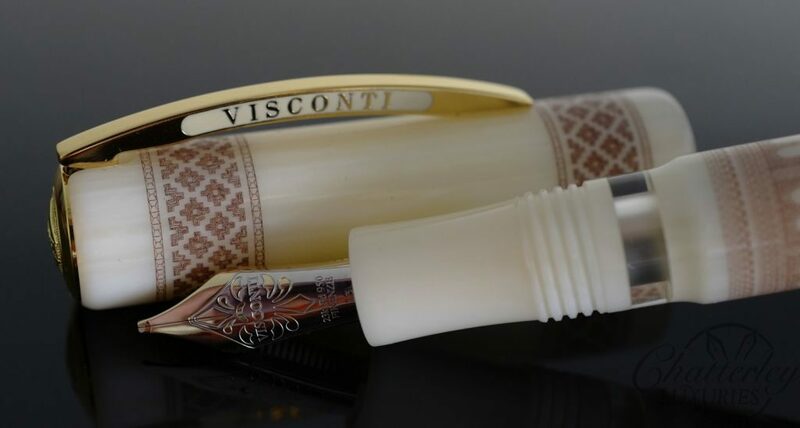 Visconti Art De Mudejar Limited Edition Fountain pen. 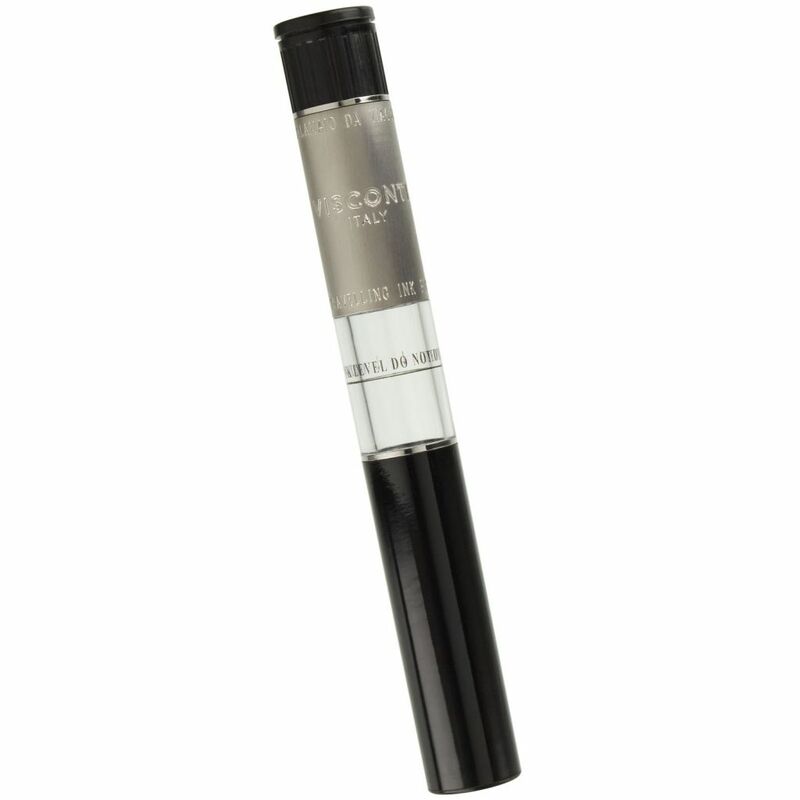 This pen is NOS and comes with box and papers but no ID cards. Mudéjar Art of Aragon started in Spain between the year 1000 and 1600 A.D. as a fusion among Romanic, Gothic and Renaissance styles with considerable Arabic influences. It represents 400 years of peaceful and common existence of the three great monotheistic religions: Christian, Muslim and Hebrew. People say that this kind of architecture, which was largely employed on religious buildings, started according to the will of the Christian kings, with Jewish finances and thanks to Muslim artists. Briefly said, it is a symbol of community, labour and cooperation of three different groups of people on the same territory for the common well-being. This happened 500 years ago and it still is an example for us all, a real World Heritage. This pen is created in ivory coloured resin with scrimshaw engravings reminding the Mudéjar art monuments. Scrimshaw is the technique of engraving resin with a very sharp cutter thus creating a decorative pattern. The here shaped groves are then filled in with copperplate printing ink and left drying for at least three days. At the end the surface is finely smoothed till the design appears. Scrimshaw was anciently used to decorate walking sticks, especially in ivory, collection knife handles and rifle stocks. 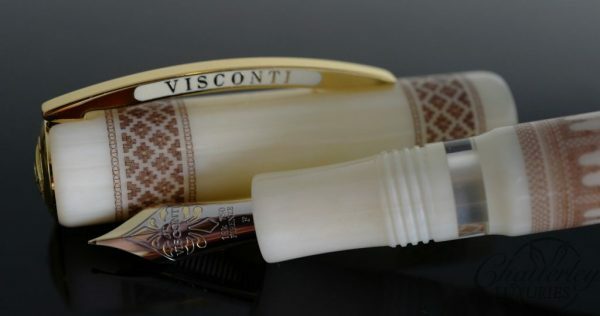 At this moment Visconti is the only company in the world using this technique for its production. This pen was presented on October 19th 2006 in Saragossa in the Palacio de Montemuzo at the presence of the highest local authorities and experts of Mudéjar Art. 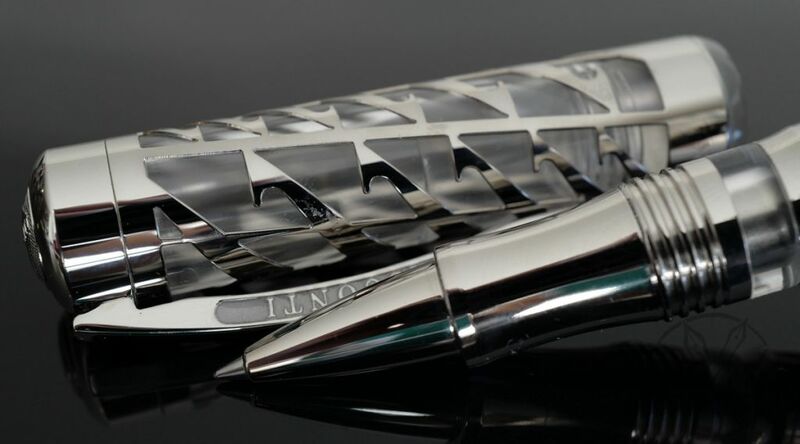 Limited Edition of only 600 pieces, it features a Double Reservoir Power Filler (High Vacuum Power Filler).